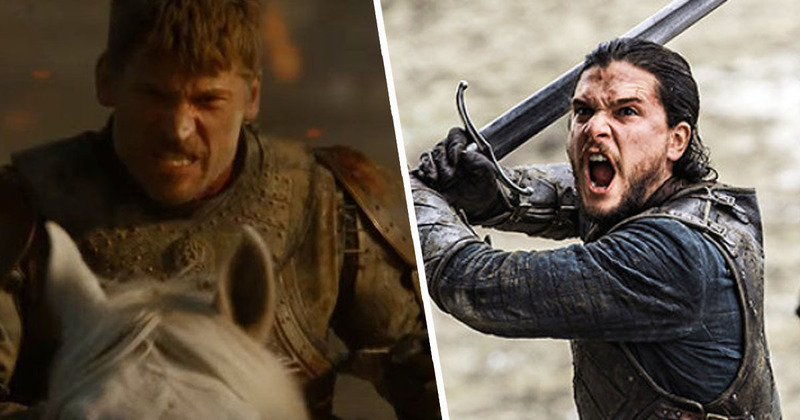 As if we needed anything else to reassure us the next series of Game of Thrones was going to be epic – apparently the fight scenes are so intense the cast and crew had to have a safe word in case anything went wrong. Even if you haven’t seen it, the violent legends of the Red Wedding and the Battle of the Bastards precedes the episodes themselves, while Ramsey Bolton’s vicious treatment of others – and his deliciously gruesome end – are just a few examples of GoT‘s penchant for violence. As everyone knows though, they’re really going to have to pull out the stops for the eighth and final season, in which we (should) see the Night King and his army of the dead take on basically everyone else in the world. Being a stunt coordinator on a show like GoT must therefore entail a ridiculous amount of planning, patience, and potential for disaster. But, it must be said, the payoff is huge. I always want the audience to sit there, and when they see something, to go, ‘Aww, f*ck me’. I’m always trying for the ‘f*ck me’ moment. Irlam has worked on GoT since season five, expertly choreographing everything from individual sword fights, like Arya sparring with Brienne of Tarth, to armies fighting armies, as in season six’s Battle of the Bastards. While it’s always great when actors want to do their own stunts, it seems some enthusiastic thespians can often take it too far. They’ve cast some very talented actors that can actually do their own fights, [but] sometimes you have to hold them back a little. According to Irlam, Iain Glen, who plays Ser Jorah Mormont, is ‘a very serious actor, and he’s very physical’, so working with him in fight scenes will inevitably involve a few bumps and bruises, which the stunt team call ‘a Jorah badge of honour’. In order to keep the actors from getting too carried away during the fight scenes, Irlam and his team have had to come up with their own safe word, in case anyone is in real danger and the scene needs to stop immediately. It needs to look like a complete maniacal riot, but you have to make sure that no one gets so much as a chipped tooth or a sprained ankle. We’re trying to make it look as dangerous as possible, but we also try to keep it as safe as possible. When we’re doing these battles and people are screaming and crying and dying, you might not know if anyone’s in trouble. So our safe word was always ‘banana.’ If someone started shouting ‘banana!’ at the top of their voice, you’d know they’re in trouble.